This is a great way to use up some of the last of the summer corn. 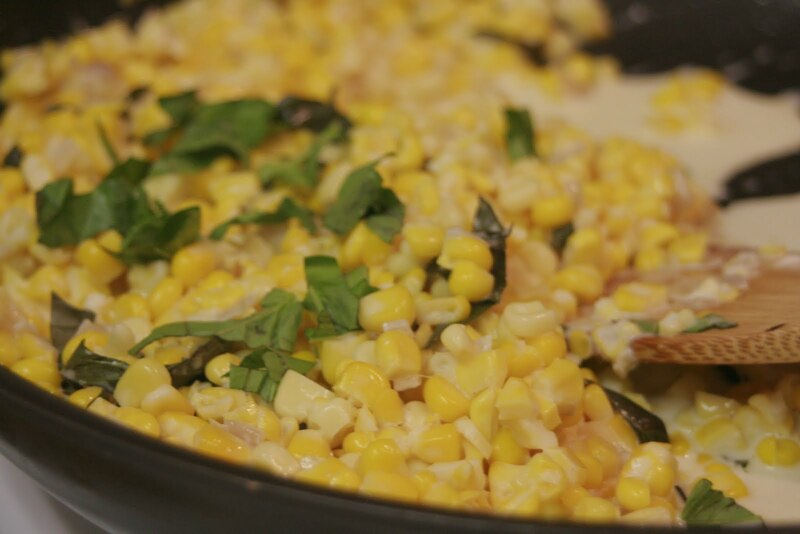 It’s a quick, fresh side which allows the flavor of the corn to shine. In a medium skillet, melt One tbs. of unsalted butter. Add 1/4 cup of thinly sliced shallots or scallions (or onions in a pinch) and cook over low heat until softened, 3 to 4 minutes. Cook over low heat, stirring as little as possible, until thickened, about 3-4 minutes. Add a pinch of salt and black pepper to taste. Finish with a sprinkling of chopped basil or another fresh herb. Looks tasty – I’m going to try this out tonight! I discovered your blog from the Allume blog roll and I’m glad I did! I absolutely love your blog header!